The Tiroche DeLeon and START Collections Residency Program is happy to announce exciting news: The Residence is now located in The Red House in the Shapira neighborhood, Tel Aviv! The Red House opened officially this Thursday (October 20th) with a remarkable exhibition showcasing over 300 works of art by 100 participating artists. The House, a spacious building preserved from the 18-hundreds with red painted brick walls, was jam-packed with artwork, the paintings displayed in a mosaic fashion, covering every smooth surface in sight. Over a thousand visitors came to have a look at this historic landmark turned upbeat-and-artsy gallery space. 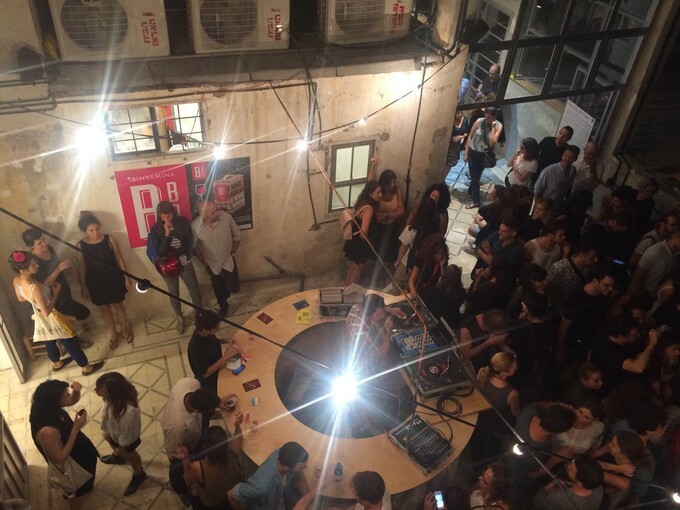 They were pleased to find an eclectic venue crowded with the city's young and trendy, drinking and art-inspecting to good music courtesy of DJ Erez Todres (from the Israeli funk band "Hatapuchim"). Our Residency Program is very excited to collaborate with The Red House and take part in its future projects. Our latest resident artist, Terrence Musekiwa from Zimbabwe, has already checked in – participating as the first artist from abroad to lodge in the Red House, and will be staying there for the next two months. The Red House will give our resident artists the opportunity to be part of the art community in Tel Aviv, and function as a platform for them to inspire and find inspiration from other young artists in Israel. 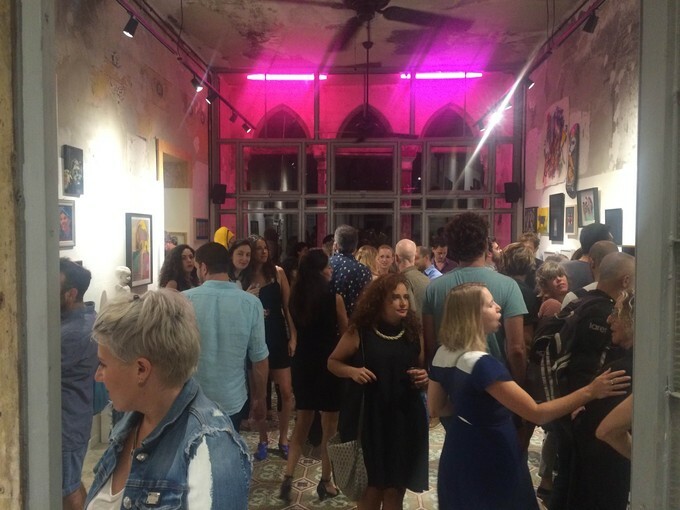 Until now, the Tiroche DeLeon and START Collections Residency Program focused on immersing resident artists from abroad in Jaffa city and the Middle Eastern atmosphere. Artists set out to the streets or the seaside for inspiration, taking interest in the culture and environment. The Red House will now allow the Residency to go a step further – and involve our resident artists in the contemporary Israeli art scene. We are sure they will in turn become key components of the local creation, mixing their signature style with local influences. By the end of each residency, the resident artists will produce their own solo exhibitions in the Red House that will display their new unique body of works made during their stay in Israel, granting their work to be part of the diverse Israeli art scene.